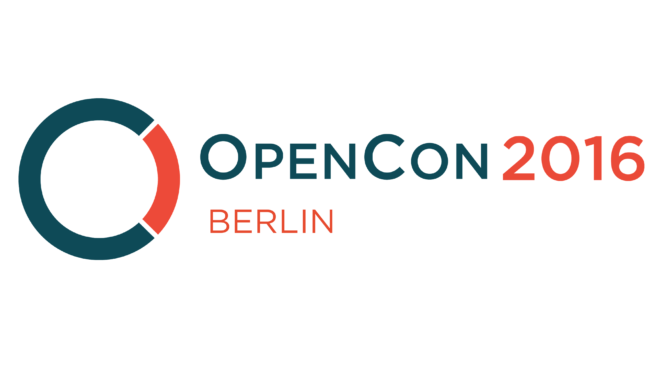 ScienceOpen has teamed up with OpenAIRE and Digital-Science, alongside two of their portfolio companies – Figshare and Overleaf, to organise an OpenCon ‘satellite’ event to be held in Berlin on the 24-26th November. This event will form one of the many international satellite events of the bigger OpenCon 2016 conference that will take place two weeks earlier in Washington, DC. When: 24th to 26th of November 2016. What: The event:will focus on putting Open Science into action through open collaboration. On Thursday evening (24th) we will be hosting a hackathon to get people in the mood and have a chance to get settled before the main event! Our keynote speaker (Friday 25th, 10am), will be Julia Reda MEP – a woman on a mission to reform copyright legislation. Alongside presentations and interesting talks made by those who have benefited and gained from open information, we’ll run focused workshops on themes you’ll choose via crowdsourcing. During the event, we will run a few short and themed focus group sessions; in each session we hope to start a conversation where people share advice and success stories about the industry. Discussions and resources willbe collated via open documents like etherpads and collected as outputs of the event. We’re all in the business of collaboration and we hope the event will inspire those who attend to do just that! Etherpad: https://public.etherpad-mozilla.org/p/OpenConBerlin2016 – updates, the agenda, and notes will all be posted here.